There’s a buffet breakfast in the hotel reception area, which wasn’t advertised as part of the room package, but I give it a try. The manager told me about it last night and said that was just light fare. It is, but it’s fine. Fruit, toast, muffins and coffee sets me up for the day. 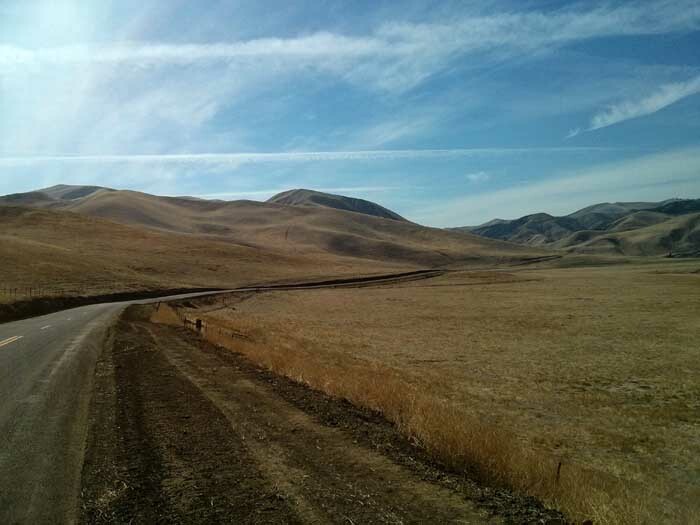 It’s not many miles to San Jose, about 140, but it could be a long drive time-wise because of the terrain in the latter part so I leave the hotel mid-morning without hanging around too much. Leaving Sonora I’m soon out in the mostly flat lands heading west. The weather is good again and the scenery is pleasant but there’s not that much to see really, just typical west coast Americana. Around Modesto I can see that I’m in farming country again, where it really is flat. And the same towards Patterson, where I stop to pick up a sandwich for lunch in a Wal-Mart. It’s turned out hot again so I find a shady side street out of the sun to park up and eat, as there was no shade in the supermarket car park. After lunch I’m driving west again. 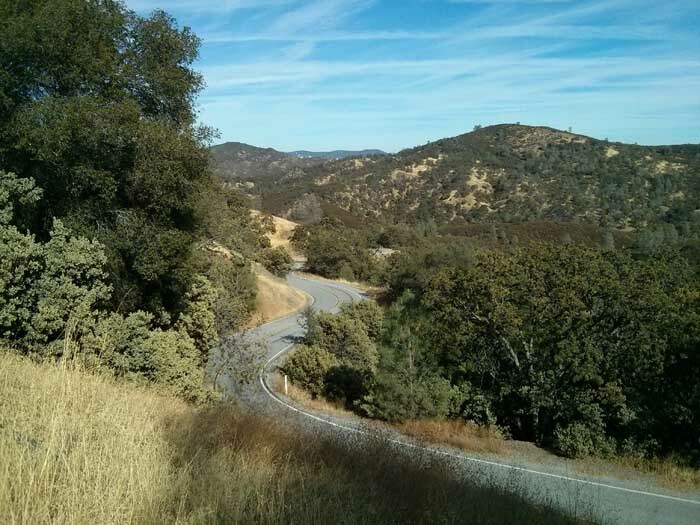 I pass under I-5 and quickly turn right onto what will become California State Route 130. This will take me over Mount Hamilton and down into San Jose. 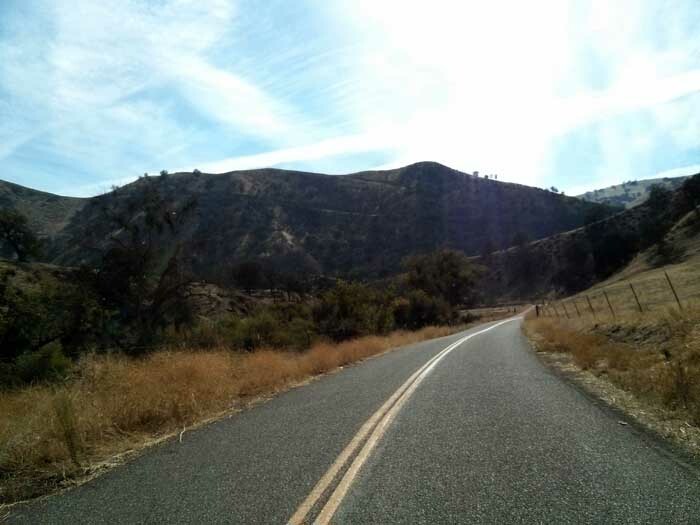 The road starts out however as Del Puerto Canyon Road and the landscape starts to change as hills come into view and the road gets ever narrower. 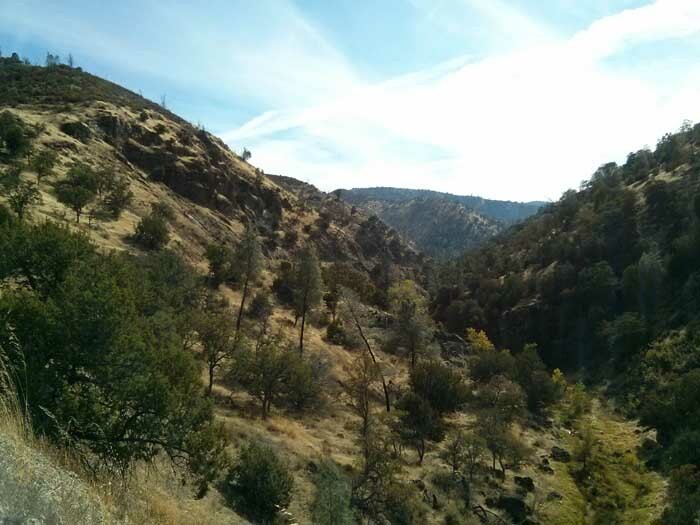 It also starts to curve itself around the bases and foothills of the hills and through the valleys. This is the San Antonio Valley. The road is in very bad condition in places, big potholes that could easily rip a tyre open. In addition, the road surface has melted at the road edges, which again could quickly destroy a tyre or even drag a car into the ditches at the side of the road. Which it isn’t. 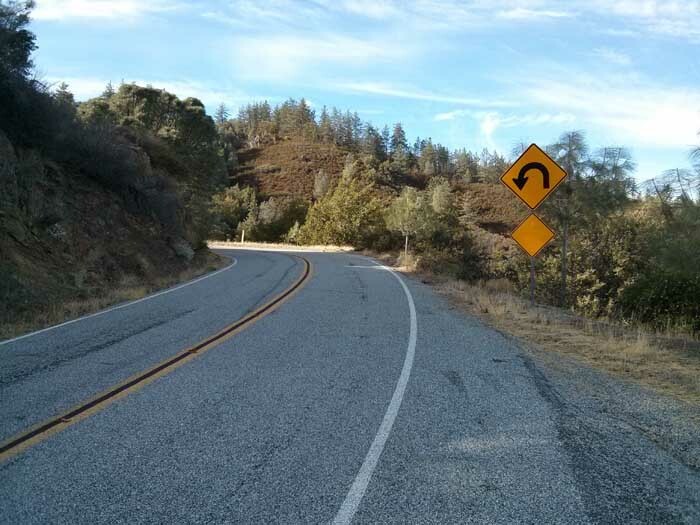 Slowly the road goes uphill, then more, then more, and then… serious inclines, 180 degree hairpin bends that can’t be taken at more than 20 mph, no safety barriers on the mountain edge and seriously narrow carriageways. It’s turning into an incredible drive. Very tight U-bend switchbacks one after another, all steeply uphill. 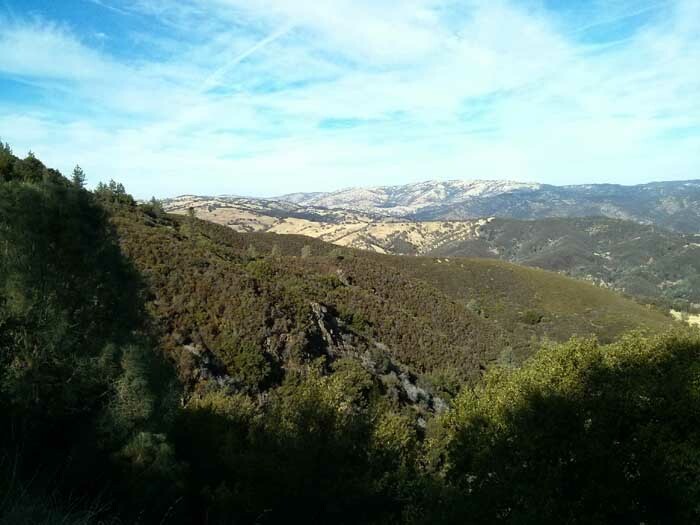 I’m now climbing up the Diablo Range of mountains with stupendous views into the distance. And the climb just goes on and on and on, one hairpin after another, often just a few hundred yards apart. Driving is requiring serious concentration, it’s a tricky and technical drive but bloody good fun! Now I hadn’t planned to stop at the Observatory but decide to on a whim just to check it out. 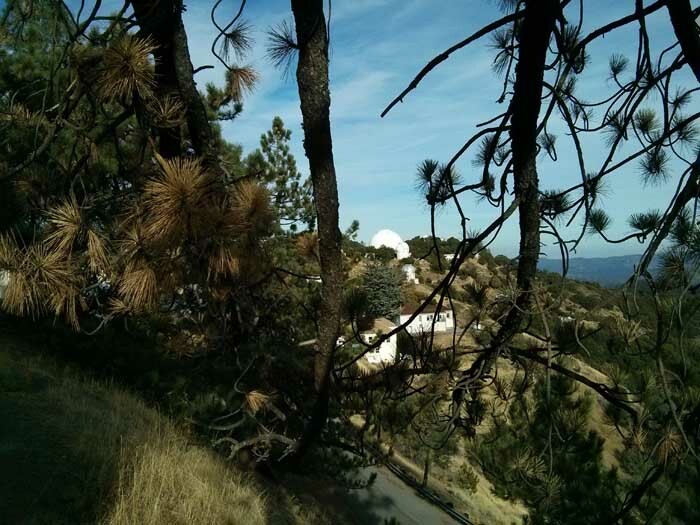 I discover that the Observatory is open to visitors and there’s a kind of mini-tour inside. The walls have photos and stuff explaining some background, along with other exhibits, to browse before going into the big dome. 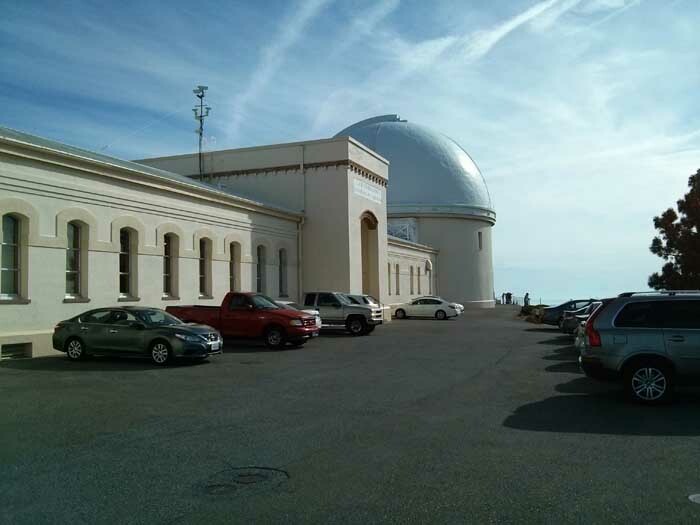 Here a docent tells us about the massive telescope that’s still inside the dome, it being the Observatory’s original one, completed in 1888 and still is use today. 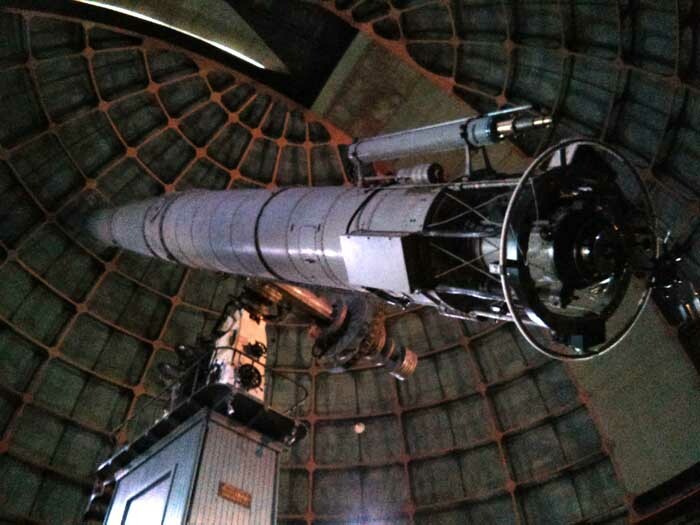 It’s called the Great Refractor and it was the largest in the world at the time. All in all, a very interesting stop off and just goes to show that on a road trip if you keep an open mind you’ll see and find all sorts of good stuff as well as what you planned to do. 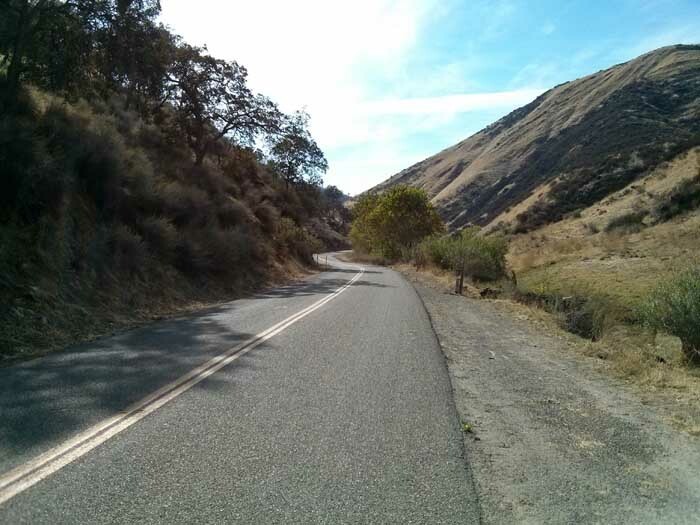 Time to descend: OMG – this section of the road is even narrower than the ascent. I’m convinced that in places two cars can’t safely pass each other. 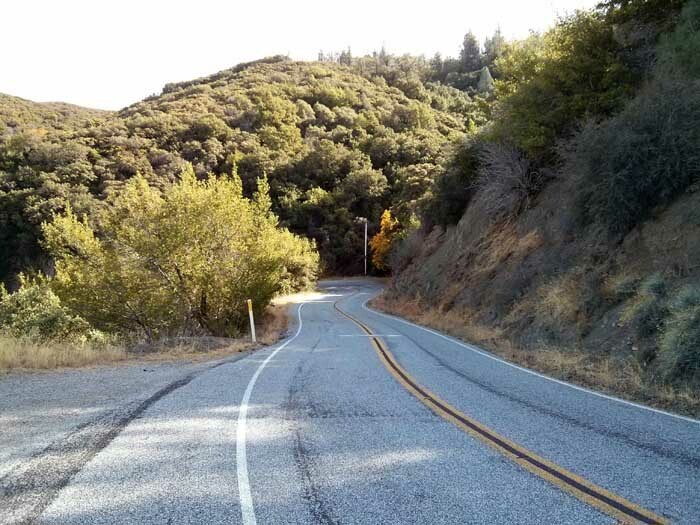 Just like on the other side of the mountain, every bend and hairpin is an almost-heartstopping moment when there’s another car on the other side of the road – “the road narrows further and is barely capable of supporting two cars abreast” (Wikipedia). 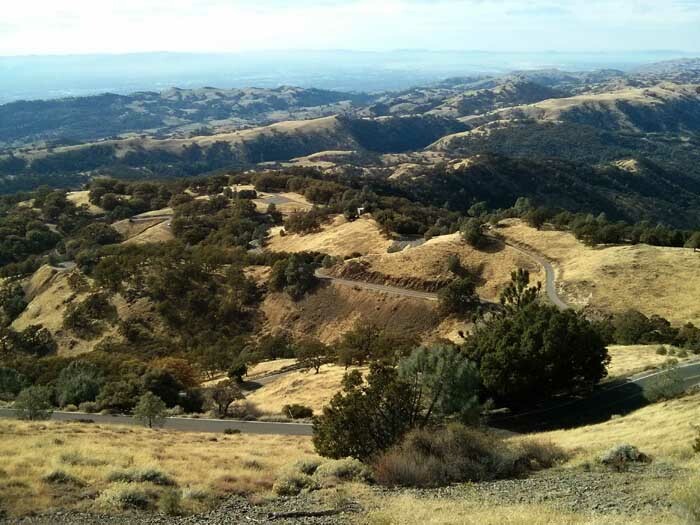 It’s an absolutely amazing drive as I come down the mountain, seeing the expanse of San Jose and Silicon Valley stretch out before me. There’s a haze, possibly smog, hanging low over the city as the sun starts to lower in the sky. Slowly descending to the valley floor, civilisation comes back into view after the wilderness of the past few hours. Houses start to line the road and then I’m in the suburbs of San Jose. And a massive traffic jam caused by roadworks. I eventually crawl my way through and into downtown. Maps guides me to the Four Points by Sheraton San Jose hotel where I will be based for the last two nights of my trip. I drive into the hotel parking lot – $27 a night folks! – and after check-in consider what to do. 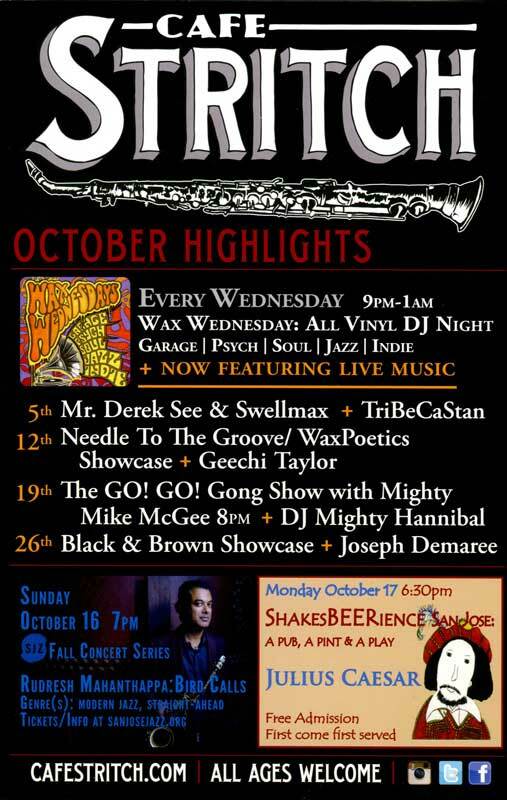 There’s a music bar just up the street, Café Stritch, that has a blues singer on later, so that’s sussed out. I just need to get my breakfast sorted. I ask the receptionist and he directs me to a Safeway a block or two up the road. It’s well stocked and as I have a refrigerator in the room – shock, horror, surprise – I buy my last two breakfasts. I buy too much food but the price-per-unit of some large pots was cheaper than small pots so I’ll just dump what I don’t need. Wasteful, sure, but it’s cheaper dollar-wise per breakfast and of course way cheaper than the hotel or a local café. Out later to Café Stritch just down the street and it’s packed out already by the time I get there but I manage to get a seat at the bar. There’s not much chat as the bar staff are clearly very rushed because it’s so busy. But they are friendly in the rush and give me good attention. I order a French Dip sandwich and beer. There’s a lady sitting to my right who seems really hyper but she doesn’t talk to me until she gets up to leave, asking me to save her seat. I assume she’s gone to the restroom but then I see her wandering all around the bar. However I keep my word and keep my sweater on her seat to save it. It’s so busy though that people are pushing and shoving to get to the bar to get served and it’s a bit of battle to save her seat. 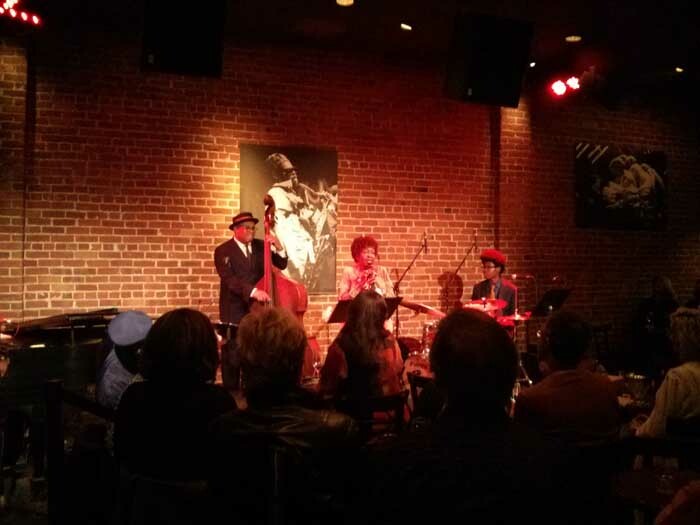 Anyway, the Dynamic Miss Faye Carol – billed as “The Many Grooves of the Blues” – takes to the stage accompanied by her band and she’s very good. She talks quite a bit about the music being “the blues” but it’s more soul really, sometimes a bit jazz-y: but none the worse for that. She’s a good singer, the band are tight, there’s some good reaction and overall Miss Carol delivers a good first set. She then takes a break – and Linda, seat lady, returns. I tell her she asked me to save the seat but informs me she doesn’t want it. And no thanks are offered either. Then she buggers off again after getting a drink. Soon after however she’s back and now sits down in ‘her’ seat. The rush in the bar has slowed down and there are plenty of seats now at the bar itself. We start to chat and she’s soon telling me some quite personal stuff like how her husband died suddenly last year, and how it affected her. And then she tells me she’s bipolar. I think to myself that this explains her behaviour earlier – not that I’m an expert on being bipolar – but I figure she must have popped some pills because she’s now lucid and clear. Linda and I have a good chat until the band comes back after their break when she says she’s off the wander around again. A lot of the audience had gone outside during the break but now come back in as Miss Carol returns to the stage. So I turn round in my seat to watch the band, at which point three idiots decide to come and stand right in front of me completely blocking my view. Yes it’s busy but they can see me sitting there but have no consideration for someone there before them. I shift a bit here and there to get a view but they keep moving as well. After about 10 minutes I’ve had enough and tell them politely to move as I was there before them and now can’t see. They’re only college kids and I must have scared them a bit because they walk away pronto! Unfortunately however Miss Carol is not doing great this time around. The songs she’s singing now just don’t work, the style is different and I can’t put my finger on it. Unfortunately this set is just not very good. I keep hanging on hoping she’ll return to the style of the first set but no joy. It’s really poor stuff so I decide to take my leave. Sad, because the first set was so good but the songs in the second half just don’t cut it. It’s noticeable when I walk out that the crowd has thinned out quite considerably from what it was at the start of the second half, so maybe I’m not alone in my assessment. Off to bed!